... and the vendor just emailed me back. Apparently the parts are, in fact, "no longer available." If you read my posts you will see ALL the parts you need to make this work IF you can get the ...93 reservoir. As soon as I have concrete information AND photographs of something in MY hands, I will post what I find out to be real. Please, feel free to jump the gun on this. We are traveling back in time to the age of GMPP and Pontiac.. The Delorean awaits. It's Alive! and it is real. 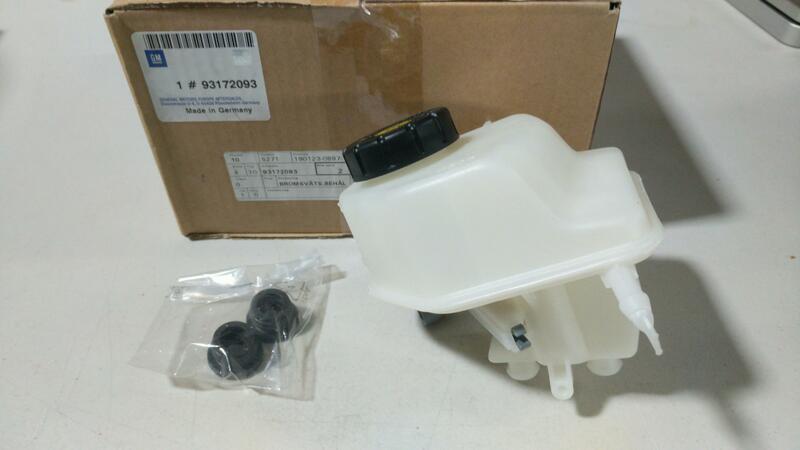 Just got confirmation the 93172093 brake reservoir, (GMPP piece) is available and I have one on the way to me as I type this. Notice the attached photos. It comes complete with the reservoir, new heavy cap, fluid level installed and two new grommets. I'm going to state the contact information as we often say something is available at...(like Crate Engine Depot, Amazon, etc.) and may not be a forum sponsor. If this is wrong, just let me know and why, please. I've been working on this for a long time and it is good to get an affirmative source. Contact Matt at [email protected], phone 855-939-7222. Let him know you found the info on the Solstice Forum. You can mention my name if you wish. He has been very good to work with me on this quest. 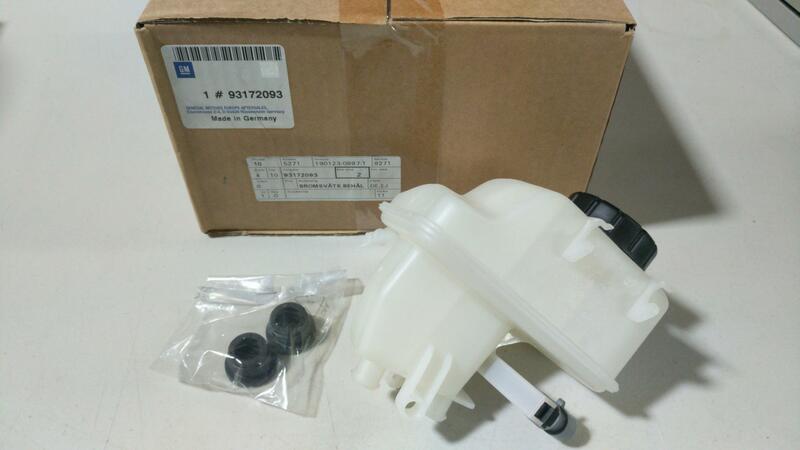 Notice in the photos this is a genuine GM Europe part. This is as good as it gets. Love that Delorean!